The actress shares a revealing Instagram post. 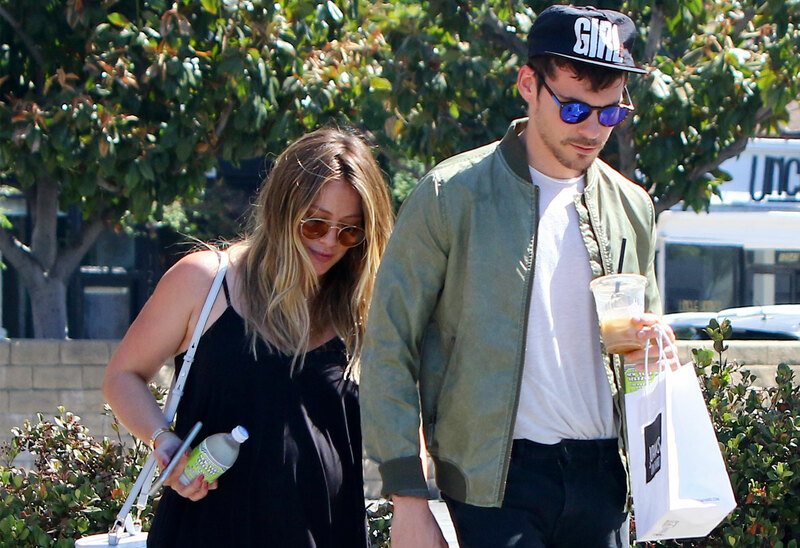 Hilary Duff is currently pregnant with her first child with boyfriend Matthew Koma. Not surprisingly, fans are hoping an engagement is on the horizon for the happy couple. Now, an Instagram post she shared is making followers wonder if Matthew finally proposed! Click through the gallery to see the photo, the ring, and what sister Haylie had to say! The “Clean” singer announced her pregnancy back in June. Ever since, she’s been showing off her baby bump all around Los Angeles. Her due date isn’t publicly known, but she definitely looks ready to pop! Perhaps her post was a subtle hint to Matthew to put a ring on it before the baby comes. The “What Dreams Are Made Of” singer already has one child, Luca, with ex-husband Mike Comrie. She just became an aunt again when Haylie gave birth to her daughter Lulu in June. Do you think Hilary and Matthew are secretly engaged? Sound off in the comments!